Presenting….emaze! Prepare to be emazed! I’m in love. I really am. I don’t know how I have not known about this site before now, but it is blowing my mind! I just learned about emaze a few days ago, and I’m already addicted to creating presentations in the most clever, cool, and fun ways! Okay, so the site is called emaze, and it is AMAZING! It’s a presentation tool, like PowerPoint or Prezi, but I like love it SOOO much better! 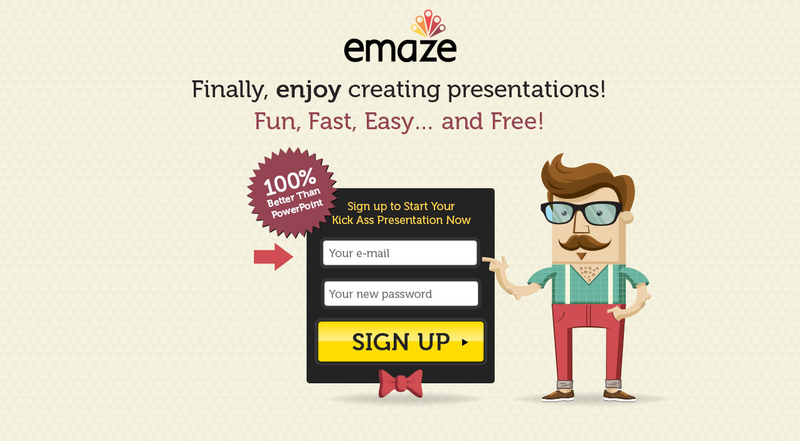 I could tell you all about it, but I’d consider myself a total emaze slacker if I just blogged about it, so I created an emaze presentation to show you everything that rocks about emaze! Click here for my emaze about emaze! I know, I know, I know….now YOU’RE in love too, right? I’ll bet you want to go create one right now, don’t you? Well please – go right ahead! And if you’re proud of your work and don’t mind sharing, would you post the link to your own emaze presentation in the comments on this post (or on Facebook if you’re following My Primary Techspiration there?) Oh, and if you have some buddies who might like to know about this cool tech tool & others, please click on the SHARE button and spread the love!